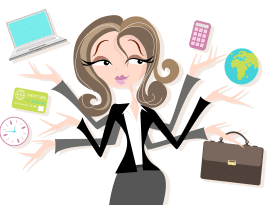 One of the biggest challenges that women tell me they have is finding time for themselves. A job or business alone can put us under a lot of pressure but many of us also have the additional demands of children, elderly parents or charity commitments etc, etc. When it comes to finding time for yourself my advice is to start by changing your thinking about it. I know that women and mums especially can be quite passive when it comes to “finding time”. Instead you must be more assertive and TAKE time. Remember assertive is NOT the same as aggressive! I know that taking time for yourself is not easy but I also know that when something is TRULY important to us we get it done. Nothing will change unless you are pro-active. 1 | Plan time out regularly – Short 5 minute breaks to “take stock” and focus on our breathing when we are in the middle of chaos are great for helping us to be more productive but also plan out activities that help you to recharge your batteries, whether it is a relaxing soak, a date night or a weekend away. 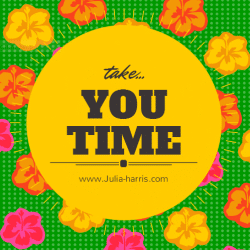 2 | Treat your timeout as important, make it unmoveable. Time out is not a luxury or selfish, it is essential. Our bodies can handle chaos so long as we also have periods of calm. When we have constant chaos we eventually burnout, our immune system starts to let us down and forces us to take time out. 3 | Tell people your plans and make sure they know how important it is. You obviously don’t need to tell people about the 5 minute breaks but for things like a weekend away or even a relaxing bath make sure loved ones know that you ARE NOT available at that time. 4 | ASK for and ACCEPT support don’t try to be superwoman. If you think that you “should” be able to cope with everything then you are wrong! If you had a daughter who came to you in 20-30 years’ time and her life was mirroring yours, what advice would you give her? If you are time starved, under pressure, overworked and overwhelmed find 13:45 out of your day to watch this video. 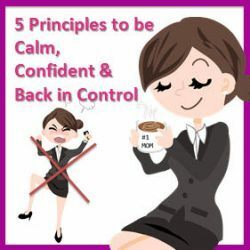 I share the 5 principles you need to adopt to be calm, confident & back in control. Leave a comment below to let me know which of the 5 principles resonates with you the most. Set yourself goals, they could be great big scary goals or smaller,easier to imagine yourself achieving them goals but if you don’t set goals then you are going to drift from one thing to the next. Setting goals doesn’t mean you can’t change your mind but it does mean you are going in the direction you choose and it lets you look back and see how far you’ve come. If you’ve never set goals before do it NOW! I’m writing this in January which is as a perfect time for goal setting but if you’re reading this at another time of year and you’ve never made goals start now don’t wait for next January. When I was stressed out, anxious and eventually depressed while working in a job that I loved but which was ultimately toxic for me I knew I should exercise more. I knew exercise was good for depression yet at the end of a long and challenging day I had no energy to even think about exercising. I had constant headaches, back ache, colds etc. The only exercise I got was opening a bottle of wine. I burnt out because I let things get really bad and learned the hard way that I had to take better care of myself. Now I put myself and my health first. I can’t fulfill my many obligations to family and clients if I’m not mentally and physically well. I don’t like getting up early but I do like that quiet time and how much I get done before everyone else gets up. I used to find it really hard to get up early when I didn’t have a “proper job”. The snooze button was just too tempting or even if I didn’t go back to sleep I would lie awake and waste time on my mobile looking at Facebook or Twitter instead of getting up and doing something productive. Drinking the Aloe (see #2) has made a big difference to my energy levels but I also started to plug my mobile in on the other side of the bedroom. I set the alarm on it for 5 minutes after my bedside alarm. That means that when the alarm goes off I can silence it before it wakes anyone else but I know I have to get out of bed to switch the second alarm off before the rest of the house is woken. I have always loved reading and learning new things but when I started my business I got stuck in learning mode. It was also one of the reasons I used for not exercising, I had too much to learn, I told myself I would exercise once my business was successful. I knew that constantly learning was one of the keys to success but I had so much information in my head that I ended up with “analysis paralysis” I knew I had to get tough with myself so now I limit my learning time to no more than an hour a day and when I learn something new I implement it before I move onto the next book or programme. Then I discovered Audible.com and now I combine my hours learning with an hours exercise each day. Its simply audio books that are bought from an app on your phone. They have all of the best personal development books available and the best part is that you can change the speed. I often find that people in videos and MP3’s talk too slowly for me and I get bored but the app has the option to speed up the recording and it doesn’t sound all weird either. The first book I downloaded and listened to was Rich Dad Poor Dad by Robert Kiyosaki. I would definitely recommend it to anyone who’s money mindset needs some work. You can get a free audiobook at the moment too just for trying it out, just click the image below. Being “on” all of the time is not healthy but its becoming more and more difficult in this 24/7 world to have time and space to “reset”. Your brain is just like a computer, sometimes it gets overheated or “stuck” and needs to be switched off and on again. The easiest way I have found to do that is with regular meditation or a walk along the beach. If you have got into the habit of being too busy to stop then I guarantee you aren’t at your most productive when you are like that. Take time out before your body makes you and you will be much more productive afterwards. Here are 5 ideas for staying on top of the chores without it all being down to you. You might have tried some of them out before but did you stick to them and make them part of the family routine or did you give in when the kids complained or you found yourself nagging them? Pick one thing out and make a decision that you will make it work this week. Explain to the family what you want and why you want them to do it. Either assign rooms to clean, or assign particular tasks to be performed throughout the house, divided per child (and spouse). And encourage your child to do it his or her way rather than you micro managing. Set a time limit on the cleaning period – make it a short one, no more than one hour maximum. When it’s over, you will have less housework to do – and more time to devote to anything you please (including “fun” family activities and interaction). Kids are always going to complain about housework but if you (a) do your own chores WITH them (b) make a habit of always doing it at the same time every week they are much less likely to accept it. Teach your kids that it’s easier to keep the place clean if they put the lid on the jam and put it back in the fridge or cupboard right after making that sandwich – not “after I do my homework” or “when I’ve finished this game”. And make sure you do the same. 3. Hire a professional house cleaner! If you can afford it, have a cleaning lady (or man) come in at least once a week. It will save you oodles of time and aggravation – the kids may respond better to always picking up their rooms on a Wednesday night because Mrs. Cleanit always comes on Thursday mornings. If your husband or Mother in Law thinks having a cleaner is extravagant then you can tell them its an investment but if you can afford a cleaner and you want a cleaner DO NOT feel guilty! 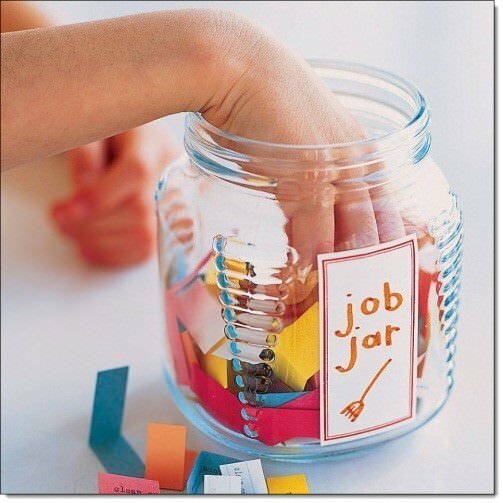 Whenever you have a one off household task to do, like cleaning the windows or sorting a cupboard out, put it in a “job jar” – or create a list and post in the family cyber storage system (whether that’s Dropbox, Evernote or some other system). Place it in an area such as the Kitchen – with a calendar and a marker or pencil attached to a string above it. Martha Stewart goes one step further, and suggests separating jobs at-a-glance with color coding into “kids’ jobs” and “adult jobs”. Offer rewards per job. Post the reward beside the job on the calendar, or its slip of paper. If anyone does a job, get them to cross it off the list. Change the list four times a year and give an extra “prize” to the child or spouse who has completed the most tasks. 5. Let older kids cook one night a week. Let them pick the dish. Buy them a special cookbook. Make sure you have all ingredients in stock. Encourage each older child to develop a “specialty” signature dish (no matter how simple that dish may be). And give them lots of praise for the results! 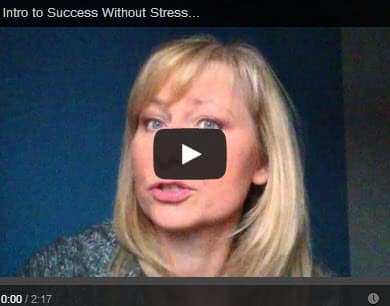 Are you a stress head? It’s probably your own fault! … who cares, do what is right for you and your family BUT DO NOT believe that life as a working mum has to be a struggle. 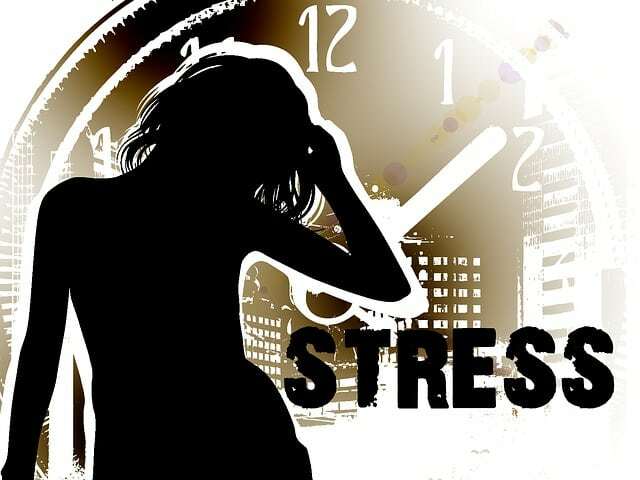 If you think that feeling tired, overwhelmed and overworked is just something you have to accept when you have kids and a job or business well I’m sorry but that is why you are stressed, it is your own fault! If you think it was meant to be a struggle then it becomes a self fulfilling prophecy. WAKE UP!! Not only does it NOT have to be like that but if you are putting everyone elses needs in front of your own then not only are you affecting your health but feeling like that affects your moods, your thoughts and your family. So if you are justifying it by telling yourself its all for your family well its about time you got your head out of the sand and looked at the bigger picture. I hope so because sometimes we need a kick up the backside! I got one yesterday from my mentor because I hadn’t done something we’d discussed. Would she have given me a good talking to if she didn’t care? No she knew my self doubt about something was getting in my way and she cared enough to give me a piece of her mind. The chances are there is no quick and easy solution to your problem or at least not one you can see or care to explore BUT I can promise you there is a way forward if you keep looking and deal with the negative voices in your head telling you have to do some things or that you aren’t good enough, clever enough etc to do something. Life improvement takes time which is why I don’t do single coaching sessions. I work with people for a minimum of 3 months while they address the root cause. But while you are putting stepping stones in place to get wherever it is you want to be then there are lots and lots of ways to mimimize the stress or guilt or overwhelm. Would you know if your child is stressed? Children can get stressed out just like busy working mums but the chances are they won’t display the same symptoms of stress that adults do. It’s important to watch for the common signs of stress in your children so you can catch it before it builds and causes other problems. I’ve listed some common symptoms of stress found in children below. Unexplained Aggression – Many stressed-out children begin to act in ways that are uncharacteristic for them and are aggressive in nature. For example kicking, hitting, biting and other aggressive actions. Anger – Many children who are under stress don’t know how to deal with it and have “meltdowns” over things that are normally small. This happens because the stress builds up and they don’t know how to deal with it. Therefore, be on the lookout for unexplained angry outbursts in your children. Lethargic Behavior – Children can become depressed when they are overrun with stress and one of the common signs of this is a lack of energy, or lethargic behavior. It may not be depression exactly, but may just be your child’s way of dealing with the stress. Developmental Setbacks – If a child is stressed out, and is still young, you may notice that he or she is adopting habits that have long since been broken. For example, it’s not uncommon for young children under stress to resort back to thumb sucking and/or bed wetting. There are lots of things things that can cause stress in children. While they aren’t the normal stressors for adults, these things are big deals to children, so don’t dismiss them. 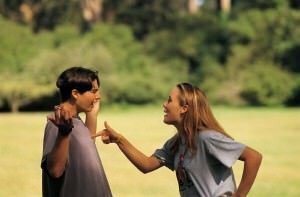 They include a change in family dynamics such as parents who are going through a divorce, constant fighting between parents and siblings or just tension in the home. Other stressors for children include issues at school such as teachers, class difficulty, bullies, exams, homework and much more. How Can You Help Them Cope? There are several things that you can do to help your child cope with the amount of stress he or she is under. Try to Understand – The worst thing you can do is listen to your child and then make a quick judgment of the situation. Don’t do this because it can cause your child to feel foolish and to hide his or her feelings from you. Listen to what he or she is saying and then try to look at it from his or her point of view. Base your response around that viewpoint. Don’t Dismiss It – When your child shares his feelings with you, don’t dismiss them. Instead, let your child know that it’s okay to feel that way and that you’re always there for him. While you may think your child is over-reacting about something, his feelings are still important and very real. Identify Stressors – While your child is experiencing the physical and emotional symptoms of stress, they may not connect the two (stress and their symptoms). Therefore, help your child identify the stressors in his or her life and show him or her how those stressors can cause the symptoms they are currently experiencing.